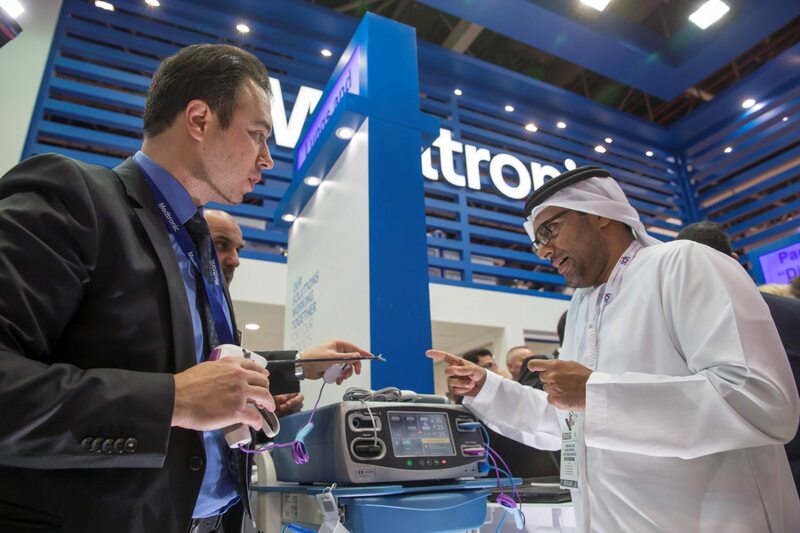 Coinciding with celebration of the first anniversary of the incredibly successful Medtronic Academy, Medtronic the global leader in medical technology, launched the ValleylabTM FT10 energy platform at the Arab Health Exhibition and Congress in Dubai last week. “Last year we launched the Medtronic Academy, which has gone on to be a resounding success, having trained 600 physicians across the MEACAT region including 11 in Bahrain, and this year we are revealing the ValleylabTM FT10 energy platform,” said Dr. Ned Cosgriff, Medtronic’s Chief Medical Officer Emerging Markets and VP Medical Affairs, EMEA. Dr. Amer Ibrahim Al Derazi, Consultant General and Bariatric Surgeon at Salmaniya Medical Complex, in Bahrain, who attended the ValleylabTM FT10 launch at the Arab Health Exhibition, said he was enthusiastic about the new energy platform, expected to be available across Bahrain at the end of this month. “As surgeons we’re always at the forefront of adopting new technologies to operations because when we do, it helps us facilitate our surgeries, it help us save lives and can also help improve the operative experience for patients,” Dr. Amer said. In addition to the ValleyLab™ FT10 launch, Medtronic is showcasing therapies that treat nearly 70 major conditions including movement disorders, spinal conditions, ear, nose and throat conditions and urological disorders such as diabetes and heart conditions. Numerous support products that are used across a variety of procedures will also be on display, including medical supplies, surgical instruments and navigation systems that help doctors see inside patients, devices that monitor patients during surgeries and technologies that monitor patients remotely. “I think this illustrates the importance we place on matching our portfolio innovations with a solid commitment to training and support for the surgical community, thereby elevating the level of healthcare practice across the region,” said Dr. Cosgriff. The Medtronic Academy is a partnership with Sharjah University that provides the advantages of academic expertise, state-of-the-art facilities and innovative technologies, ultimately establishing a comprehensive training platform for physicians right across the region. The Medtronic Academy has trained almost 600 physicians from across the Middle East, Africa, Central Asia and Turkey region who have participated in one or more of the 30 courses offered at the training center of excellence. At this moment, eleven participants in the year-old programme have been from Bahrain. Launched today, the Valleylab FT10 is used by surgeons who perform gynaecological, colorectal, bariatric, general and urologic procedures for intricate techniques such as heat-sealing blood vessels and delicate incisions into body tissues. The new energy platform is designed to sense exactly the level of energy required during the procedures and deliver precisely what is needed to the tissue, allowing surgeons to perform critical procedures more efficiently. “We’ve built a generator that is smaller, simpler, and more intelligent in its energy delivery to provide surgeons with the ideal tool for today’s complex procedures.” Dr. Cosgriff said. “Its innovative design reflects our commitment to meeting the needs of surgeons and Healthcare systems around the world by providing them with advanced technology and training focused on improve patient outcomes.” he added.